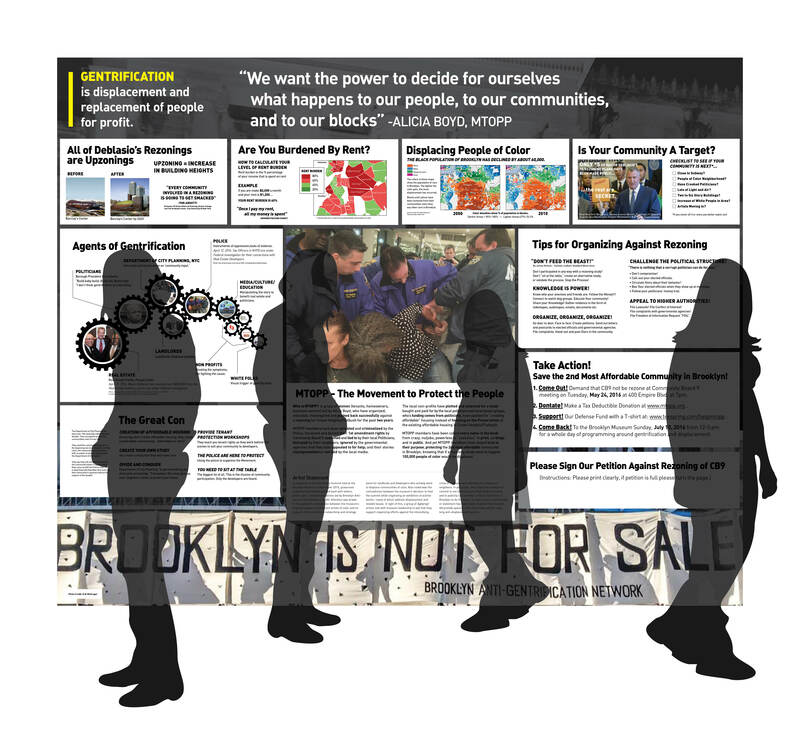 People's Monument to Anti-Gentrification and Displacement is a multi-collective project created for inclusion into the Agit-Prop! 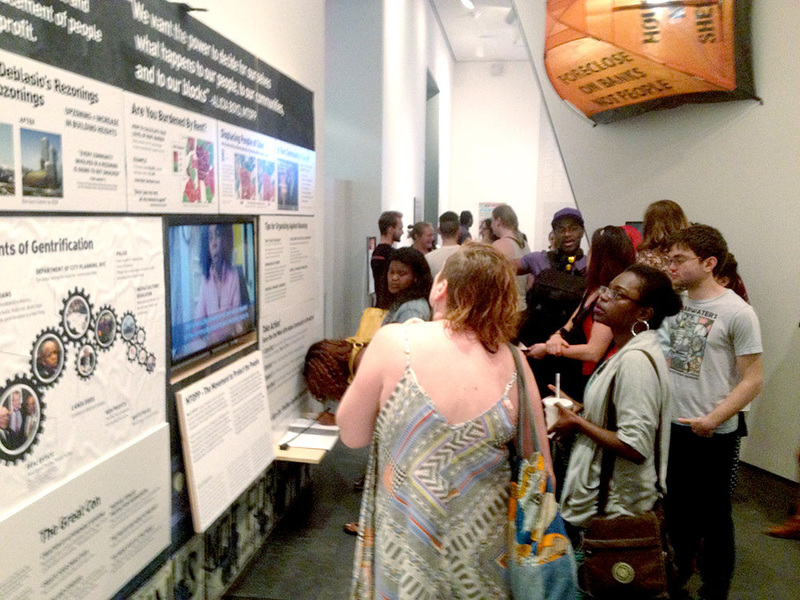 exhibition at the Brooklyn Museum in 2016. 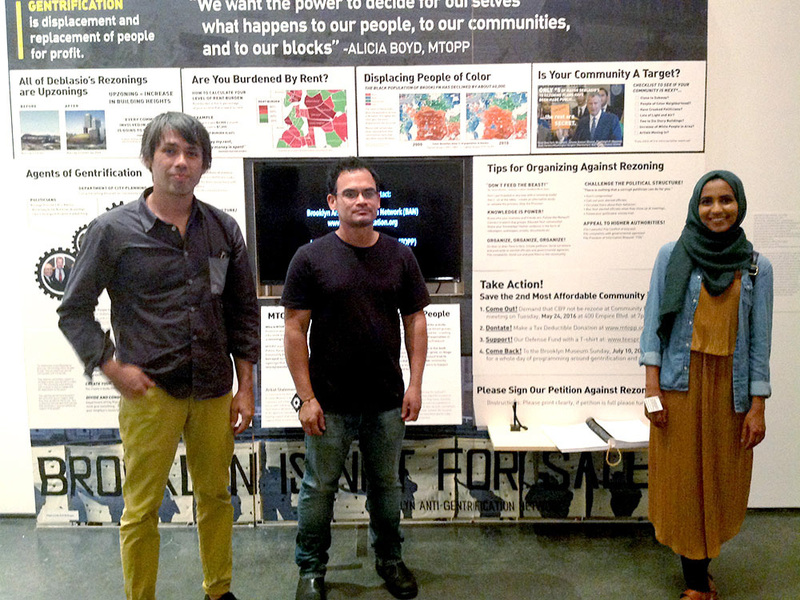 One of the demands of the Real Estate Development Protest of 2015 was to include an active work of art that address the current issues of gentrification and displacement. The result was an 8' x10" monument with film and text highlighting the work of Movement to Protect the People. The collectives involved in the project include members from artists color bloc, Brooklyn Anti-Gentrification Network, The Illuminator, Mi Casa No Es Su Casa, Movement to Protect the People, Ultra Red, and the soon to form Chinatown Art Brigade. 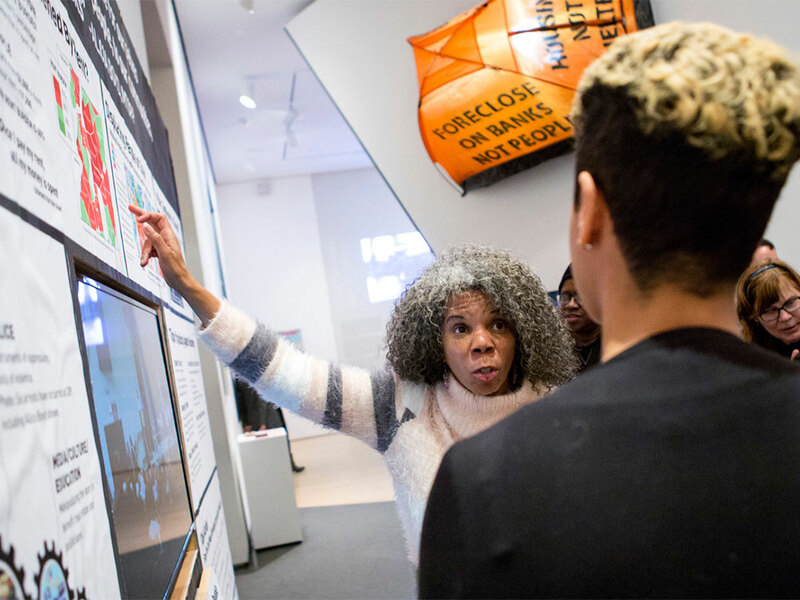 Left to Right: Alica Boyd of M.T.O.P.P guiding visitors through the information about the work her organization is doing to counter gentrification, photo by Caitlin Ochs of The New York Times. People engaging with the installation during the Agit-Prop! exhibition. Members of artists of color bloc around the display.